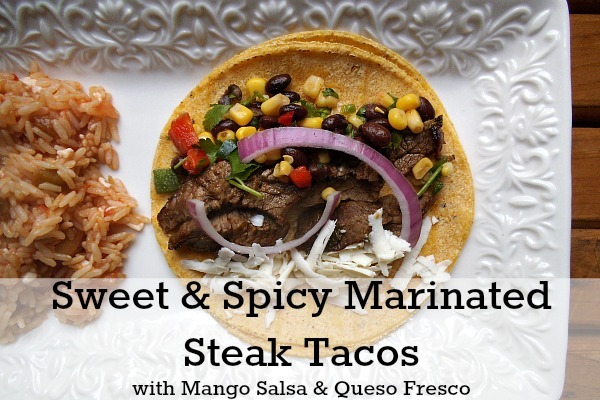 Authentic flavors and a quick and easy recipe that is way better than Taco Bell. 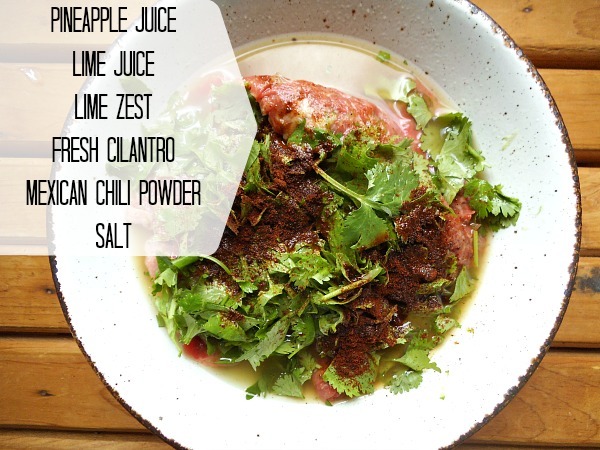 This is a simple marinade that makes just about any cut of beef tender and juicy as can be. The longer you can let this marinate for the better. If you can't get your hands on some spicy Mexican Chili Powder, the regular kind will do too, it just won't have as much kick to it. Once the beef marinates for at least an hour if not more, sear it over a hot flame and cook to your desired doneness. I usually let mine cook for 5-8 minutes on each side over medium-high heat for a medium-well finish. The queso fresco I used comes off a block and looks and tastes almost like a Mexican version of mozzarella cheese. You can either crumble it or (my preferred way) shred it. 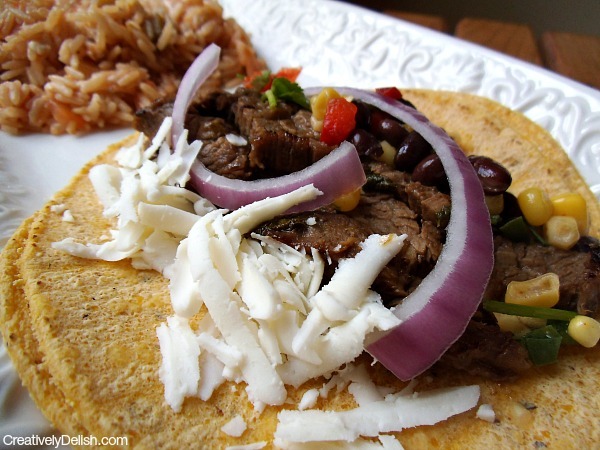 It cools down the spiciness of the beef and the salsa and melts perfectlty. Cook the rice according to package directions, then stir in two or three spoonfuls of your favorite salsa and a sprinkle of queso fresco. 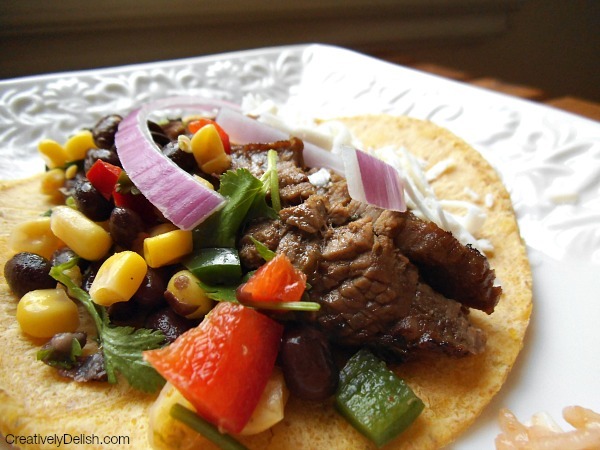 I like to top these tacos with some Mango Salsa, queso fresco and a few red onion slices. An easy dinner that tastes just like the real deal. 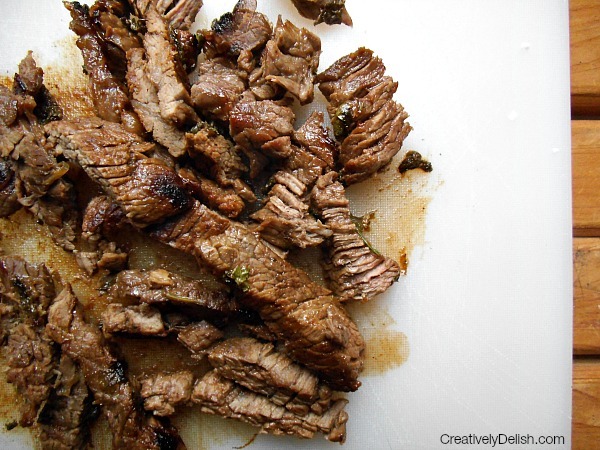 In a bowl, combine all ingredients for the marinade and then mix the beef in. Cover with plastic and store in the fridge 1-3 hours, turning the beef over once to get both sides. While marinating, combine all ingredients for the salsa and set aside. This can be made and kept in the fridge for about a week, so you can use it for everything else too. Prepare the rice, then stir in two or three spoonfuls of your favorite salsa and a sprinkle of cheese. To cook the beef, heat a large pan over medium-high heat and sear both sides. Cook the beef to your desired doneness, then slice into thin strips. Assemble your tacos and serve with the rice.